Understanding Ethanol in the U.S.
Ethanol has played an increasingly important role in U.S. energy, environment, and economy. 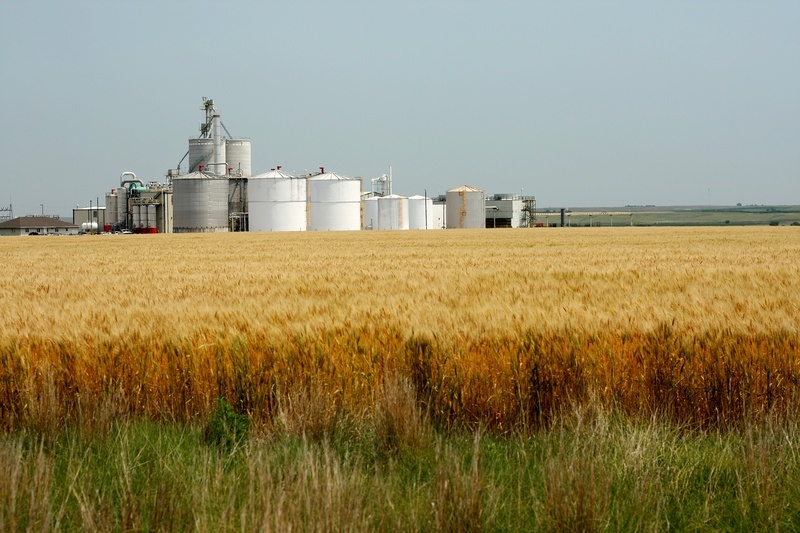 While it's only part of the solution to solving the country's energy problem, ethanol has helped alleviate U.S dependence on foreign oil, and has been at the forefront of the biofuel movement. Due to it's impact on the oil industry, the clean-burning nature and renewability of ethanol has been touted for its reduced impact on the environment. Ethanol is grown and produced in the U.S., creating jobs and stimulating the economy in some of the nation's rural and struggling areas. Read on to learn more about how ethanol is benefiting the U.S.
Ethanol is a renewable fuel made from various plant materials called biomass. However, in the United States, the majority of ethanol is made from the starch in corn grain. While ethanol production will never be enough to totally replace oil, it is a good starting point. Domestically, the U.S. used 14 billion gallons of ethanol in 2015, and every 1 barrel of American-made ethanol displaces 1.2 barrels of crude oil. Furthermore, ethanol reduces the country’s import dependence on oil from what would be 32% without ethanol to 25% with ethanol. The United States Department of Energy estimates that for every billion gallon of ethanol produced, between 10,000 and 20,000 jobs are added in the U.S. As of last year, the ethanol industry supported 400,000 jobs. Making those jobs even more impactful is that they can’t be exported or outsourced, and many of those jobs are in America’s struggling rural areas. In 2015, ethanol production added $44 billion to the nation’s gross domestic product (GDP), while generating $4.8 billion in tax revenue. Not only creating revenue, it’s widely accepted that ethanol helps keep the cost of gasoline down by as much as 40 cents a gallon. However, a recent Louisiana State University study found that ethanol reduces gas prices 78 cents a gallon—a consumer savings of more than $100 billion annually. Ethanol is renewable energy source that can continue to be harvested in perpetuity. It also burns much cleaner than gasoline. Using ethanol instead of gasoline results in a reduction in carbon dioxide (CO2) emissions by 34%. To give an idea of the impact using ethanol in place of gasoline has on the environment, the 13.2 billion gallons of ethanol blended with gasoline in 2013 was equivalent to removing the impact of approximately 8 million cars from the road. What’s not to like about ethanol? It’s environmentally friendly, creates jobs, and keeps the price of gas down. Thanks to the hard work of America’s corn growers, the U.S. is still able to grow enough corn for our tables and our livestock while meeting the increasing demands of the energy market. Alliance Tire Group is right beside our farmers making sure they have the tools they need to keep America powered. Thanks to innovative tire technologies like IF/VF, corn farmers can reduce the impact their machines have on their fields and minimize damage to sensitive soils. IF/VF can also carry more weight than a similarly inflated radial tire, making today’s corn farmers more efficient and productive than ever.